As the Florida city continues to pipe burst hundreds of miles of sewer to meet an EPA compliance agreement, relining and maintaining its 6,000 manholes is a key part of the program. JEA in Jacksonville is using the SpectraShield process to reline the some 6,000 manholes as part of its sewer rehabilitation program. JEA contracted with Concrete Conservation Inc., a licensed installer of the SpectraShield process, to handle the high-volume work. The JEA is three years into a sewer rehabilitation program that will upgrade hundreds of miles of aging gravity sewer via pipe bursting and other trenchless technologies when it is finally completed. As part of that program, some 6,000 plus manholes will also be rehabilitated. City officials would like the bulk of the work, if not all of it, completed by 2005 — which is when Super Bowl XXXIX comes to Jacksonville, bringing with it thousands of visitors and a national media spotlight. All of the rehabilitation work is also being carried out simultaneously with the City of Jacksonville’s “Better Jax Plan” streets resurfacing program. This program includes 2,000 miles of streets to be resurfaced between now and 2005 — some of which are along the pathway of the sewer rehab work. “This has been a coordinated effort between the City and JEA,” says JEA contracts administrator Bill Clendening, explaining that pipe bursting work needs to be done prior to the paving work. New roadway resurfacing cannot be cut into for five years. JEA, formerly the Jacksonville Electric Authority, is a municipally owned corporation that provides electrical services to the City of Jacksonville and its environs. In 1996, JEA merged with the City of Jacksonville Water and Sewer Maintenance Departments and now serves more than 80 percent of all water and sewer utility customers in its service area, which includes most of Duval County and portions of Nassau, St Johns and Clay counties. JEA’s water system serves 200,000 water customers and 148,000 sewer utility customers. As a result of its merger with the Jacksonville Water and Sewer Departments, JEA became a party to an EPA compliance agreement to reduce the number of SSOs that had been occurring throughout the City of Jacksonville. Pipe bursting and manhole rehabilitation are key components to meeting that agreement. In 2000, JEA contracted a joint venture of PM Construction, Houston, and Kinsel Industries, Houston, to pipe burst sewer in designated areas of its service area. The contract was valued not to exceed $380 million. Also as part of this contract, the joint venture handled manhole rehabilitation until 200 when JEA put that scope of work out for competitive bidding. The decision to bid the manhole work was based on the potential for cost-savings and to increase the flexibility of JEA to utilize this technology. The fiscal year 2003 plan included an expenditure of $48.5 million to rehab approximately 80 miles of sewer mains and associated service laterals. This is to be supplemented by the rehabilitation of 92,300 lf of sewer using other trenchless methods, primarily cured-in-place pipe (CIPP). To date, approximately 300 miles of sewer have been rehabbed using pipe bursting, according to Clendening. Within those footprints, manholes were identified that had leaks or structural defects and were in need of relining. 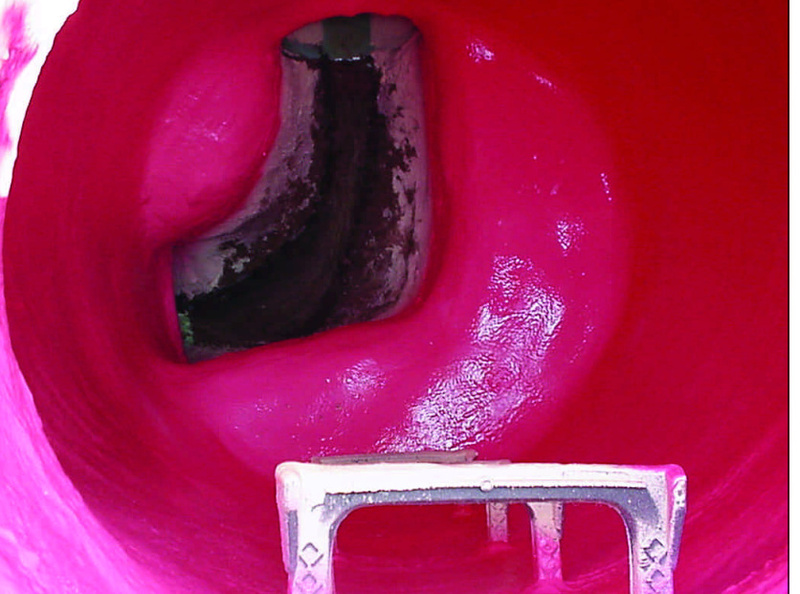 JEA contracted through the competitive bid process with Concrete Conservation Inc. (CCI), Jacksonville, in 2002 for a $3 million, two-year contract to rehabilitate the manholes designated along the pipe bursting routes using CCI Spectrum’s patented SpectraShield lining process, a multilayered poly resin liner system that provides the latest in composite technology. CCI is a licensed installing contracting company of the SpectraShield technology and a subsidiary of CCI Spectrum Inc., which developed and patented this technology for manhole rehabilitation. To date, JEA has spent approximately $3 million on roughly 5,000 manholes over the last three years (two years through the joint venture contract and one year under direct contract with CCI) that have either been a part of the sewer rehabilitation program or have been maintained as part of JEA’s ongoing manhole maintenance program. Jacksonville-based CCI Spectrum Inc. was formed in 1989 by Jamie Hume to develop and provide solutions for the aging wastewater systems in the United States. Hume grew up in the resin and plastics business, working summers and after college for his father’s business. After several years, he went on to work for a local underground utility contractor where he learned of the corrosive environment in wastewater systems. After a few years, Hume started his own business in 1989 and begun research and development on the latest best suit the requirements of the wastewater environment and to be able to provide owners with a warranty they could depend on. There are many protective liner systems available on the market today. Unfortunately, most do not guarantee long-term protection and others are prohibitively expensive. The SpectraShield Liner System represents a major breakthrough in the way manholes, left stations, and other wastewater structures have been and will be repaired and lined in the future. 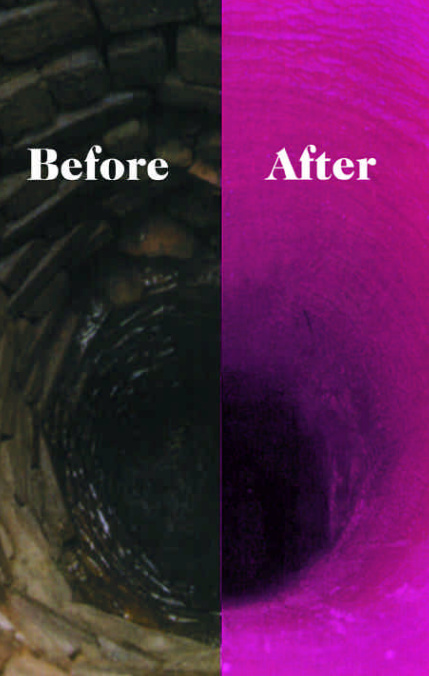 SpectraShield is cost competitive, applied with minimum disruption, stops groundwater infiltration and stabilizes, reinforces and restores structures damaged by sewer gases. In addition, and most importantly, SpectraShield provides the customer with a 10-year warranty.